A classic dish, sure to become a favorite at your house. This recipe was a blue-ribbon winner at the State Fair of Texas. Rinse and pick over beans. 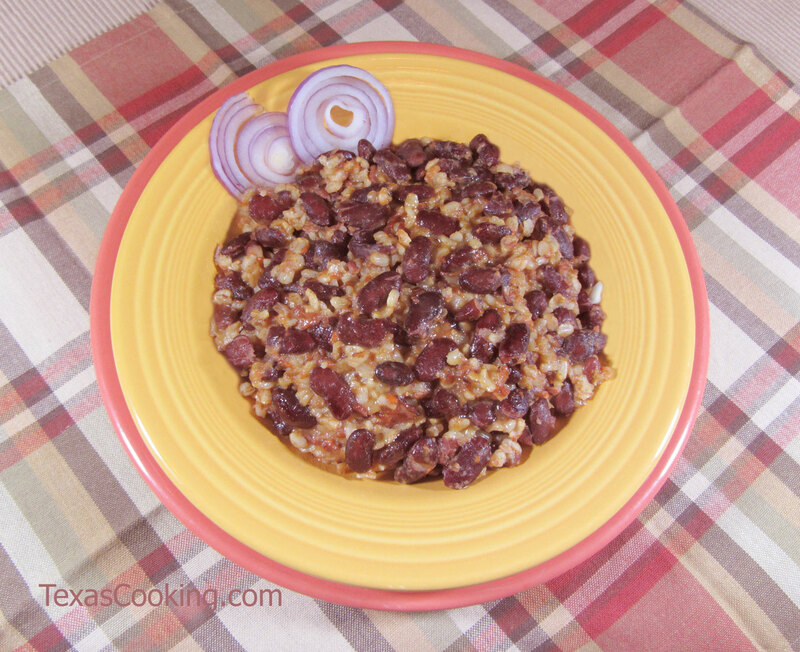 Put beans and water in a Dutch oven or large pot, bring to boil and boil for 45 minutes. Drain. In another pan, sauté bacon, carrots and onion until onion is softened, but not browned. Mix drained beans and bacon mixture, and add the chicken stock. Cook over medium heat 15 minutes. Stir in spices, lower heat and simmer about 2 hours or until beans are soft. Add rice and, if necessary, more chicken stock. Simmer for 1 additional hour. Salt to taste.